Purl Soho opened over a dozen years ago with the goal of spreading our passion for exceptional design, natural fibers, and crafting traditions. Our entire team of employees shares a love for all things fiber and needlecraft, an enthusiasm for the history and the future of crafting, and a deep interest in sharing our knowledge and connecting with kindred spirits. If you feel the same way, come work with us! Purl Soho is looking for a meticulous and hard working Production Artist/ Associate Graphic Designer. The person in this role is responsible for implementing the vision of the Creative Directors and Senior Graphic Designer. He or she will apply set standards to Purl Soho’s printed patterns and kit labels, as well as basic advertising, merchandising, and marketing for Purl Soho. The Production Artist/ Associate Graphic Designer also project manages our graphic output, tracking timelines, coordinating with printers, and updating our company’s shared project management platform, Asana. This is a freelance job with the future possibility of joining our team in a full-time salaried position. If you live in the New York City area and you’re a great team player, have a rigorous eye for detail, as well as design, and are incredibly organized, we’d love to meet you! Please send a cover letter, resume, salary requirements, and portfolio to hiring@purlsoho.com with the subject line Production Artist/ Associate Graphic Designer. Do you love crafting and beautiful supplies? Come work behind the scenes at Purl Soho! We are looking for a capable Warehouse Associate to support our company's warehouse operations. You will stock, organize, and ship inventory, perform various warehouse activities, and provide excellent customer service via phone, email, and in-person. This part-time position is at our warehouse in Irvine, California. To apply, please email us your resume, availability, and salary requirements. Purl Soho’s New York City retail store is looking to add new sales associates to our team! Are you a needlecraft expert with a love for all the beautiful tools and materials you need to make them? Are you great at communicating with strangers and sharing your knowledge? Can you work independently in a sometimes-hectic environment? Are you positive, friendly and fun to be around? Yes, yes, yes and yes? Then, please email us your resume, a paragraph about why you want to work at Purl Soho, and 3 photos of your work in PDF format. We want to interview you! Purl Soho is looking for meticulous and reliable Sample Makers to hand knit, crochet, weave, bead, or embroider our designs! Our ideal Sample Maker is communicative and industrious and is also a critical thinker and impeccable crafter. This is a freelance job that requires close communication with Purl Soho’s designers and Design Coordinator, and candidates must live in the New York City area. If you are interested, please email us a cover letter describing your crafting background and please also include some photos of projects you have created. We look forward to seeing your work! Are you an expert knitter with a keen sense of design, who is also capable of writing an excellent pattern? Are you familiar with our company and does its aesthetic strike a chord in your heart? 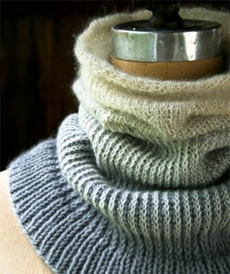 Join the Purl Soho design team as a Hand Knitting Pattern Designer! In this freelance position, you will create original hand knitting designs for publication and use on Purl Soho’s website. You will work closely with the Creative Team to design accessories and housewares according to the company’s vision and needs. You will also write the patterns for your designs, communicating with Sample Makers and Editors to complete an accurate, accessible pattern aligned with Purl Soho’s standards. Finally, you will work closely with the Design Coordinator to ensure that projects are completed on time and as expected. If this sounds like the job for you and you live in the New York City area, please send a cover letter, resume, and photographs of (or links to) the original patterns you've created that you think would most fit into our brand vision to hiring@purlsoho.com. We look forward to meeting you! We’re looking for knowledgeable, dependable, patient, and friendly instructors to share their skills and talents! Our classes cover basic techniques from knitting to tapestry weaving and are usually based on our own projects and patterns. Our students include people working on new techniques, brand-new crafters, and those who just need a bit of a refresher. If helping fellow fiber lovers learn something new sounds like a great way to spend a few hours, we want to hear from you! This freelance position takes place in our Soho shop during evening and weekend hours and requires close communication with our Class Coordinator. Please take a look at our current offerings (https://www.purlsoho.com/classes-and-events/), then send a resume that highlights your teaching experience and a paragraph about your crafting proficiencies to classes@purlsoho.com. We look forward to meeting you! We are also always looking for friendly and enthusiastic people who love helping customers and sharing their passion for materials and crafts. Our New York City staff works in our busy Soho store, while our Orange County, California employees maintain our website, warehouse and shipping facility. If you’re in either location and are interested in joining the team, please send your resume and 3 photos of your work in pdf format to hiring@purlsoho.com. We will keep your information on file and will let you know if we have an opening for you!